By buying this product you can collect up to 14 loyalty points. Your cart will total 14 loyalty points that can be converted into a voucher of 4,20 €. 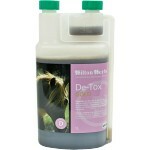 The natural herbal De Tox ! 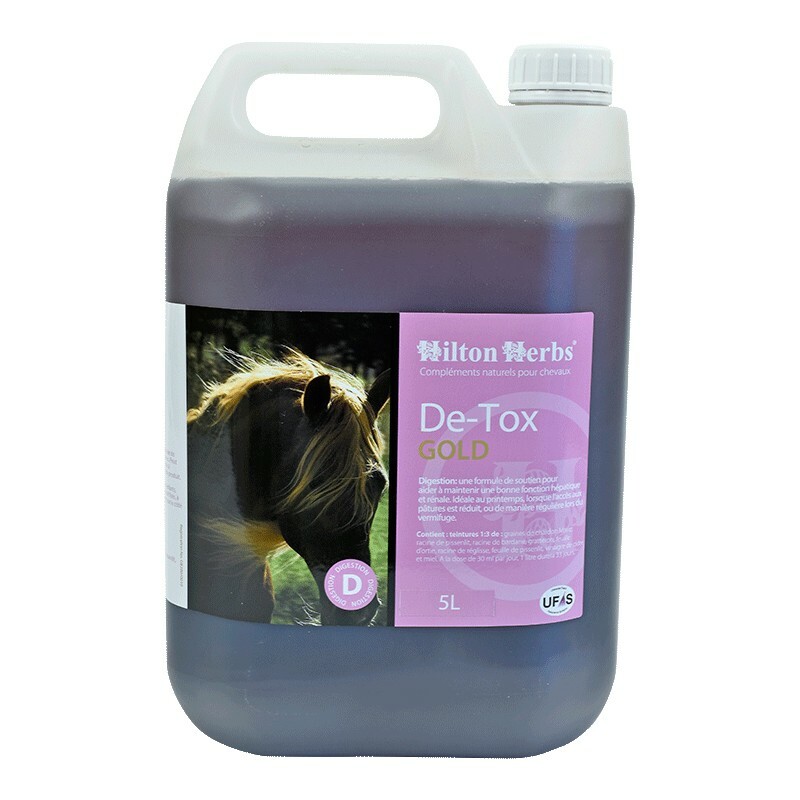 When you are looking for a faster acting herbal supplement choose DE-TOX GOLD to help support your horse's liver, kidneys and digestion and to help maintain healthy liver and kidney function. 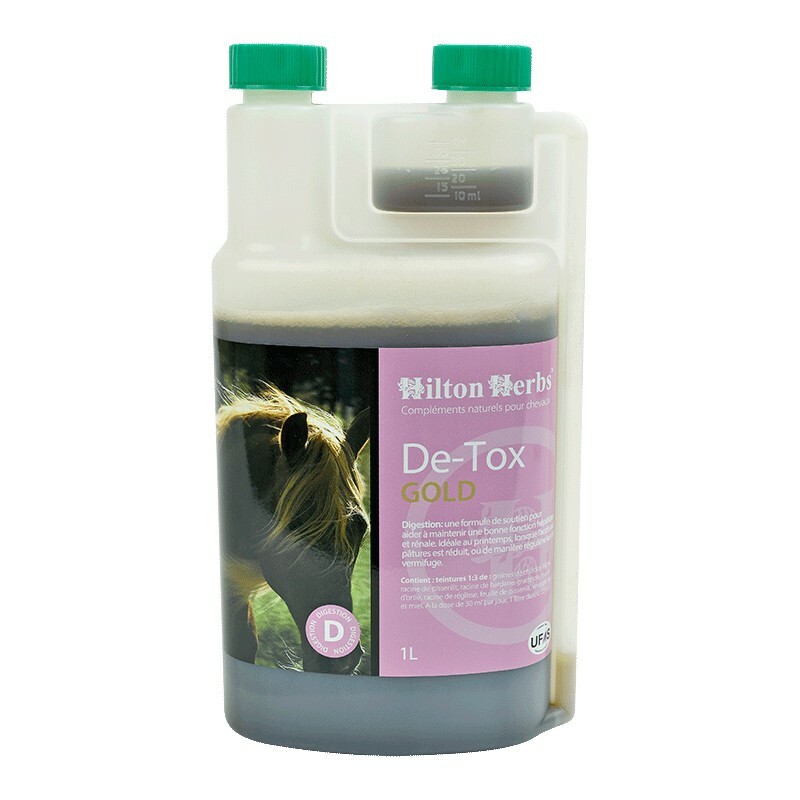 We particularly recommend using the DE-TOX range in the Winter / Spring when access to pasture can be more restricted, management regimes change or routinely in conjunction with your normal worming programme. 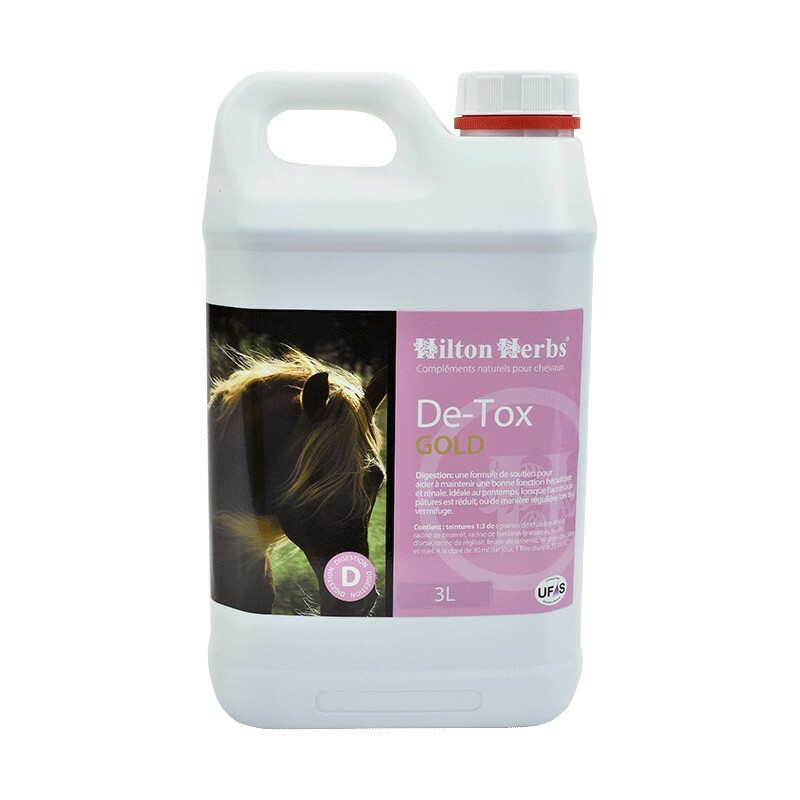 Several of our customers have reported getting great results when they used our DE-TOX range for a month or so prior to using our HERB POWER or HOOF & HEALTH products for helping maintain healthy coat and skin condition. 1:3 tinctures of Milk Thistle seed, Dandelion root, Burdock root, Cleaver herb, Nettle leaf, Liquorice root, Dandelion leaf with Apple Cider Vinegar & Honey. super produit pour aider pendant le "mue" à la sortie de l'hiver , un vrai drainant !